One mention of Vietnam immediately gives someone an image of war. But the Vietnam War, which lasted for more than a decade, is probably one of the reasons why Vietnam has now emerged as one of the top tourist destinations in Asia. Vietnam is the easternmost country on the Indochina Peninsula in Southeast Asia. The country's rich culture, history and breath taking landscapes draw tourists from all over the world to Hanoi and Saigon (top two destinations in Vietnam) all year round. Vietnamese are generally warm and friendly people. 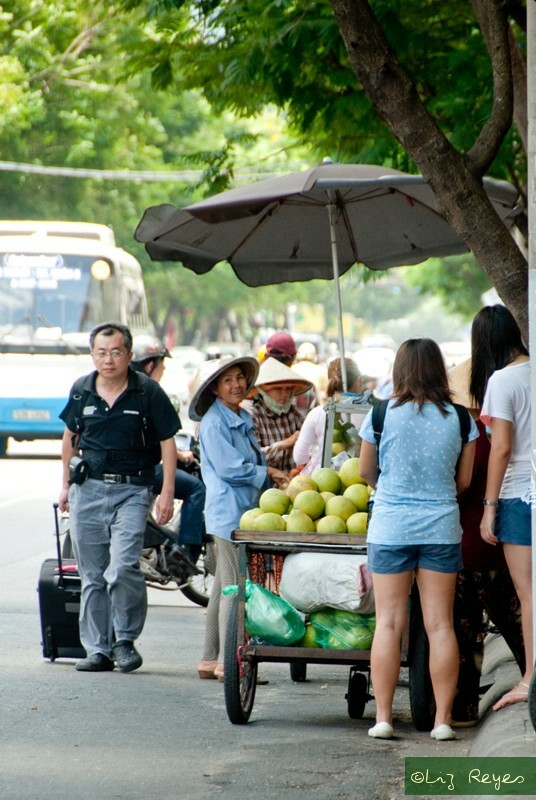 Majority of the locals speak Vietnamese, Chinese and English. Vietnam's currency is Vietnamese Dong. VND10,000 is roughly equivalent to Php22.00. The 4 days and 3 nights travel guide below is a suggested itinerary for people who wish to enjoy Vietnam, specifically Saigon, at its best. There are lots of interesting places to see in Vietnam that 20 days is probably the advisable number of days to fully experience Vietnam, The Hidden Charm. hi! where did you book the mekong delta tour? i checked delta tour and the quote was $25/person. thank you! Enjoy pho in Vietnam is a wonderful thing when you visit this country. Vietnam is a very popular destination in Indochina peninsula, all our Vietnam tours packages are designed to meet your requirements and interest in mind, following are only a sampling of what you can expect when taking our tours to Vietnam. we design our itineraries to make them possible for you to explore the amazing sights, cruises, home stay, trekking, visiting ancient sights, beach holidays, bustling cities and more, come with us and let us guide your Vietnam tours the way you wish for. Vietnamese private tours offers different Vietnam tours for different traveling style, explore the picturesque Sapa, cruise the majestic Halong Bay and discover the magic of ancient Hue and Hoi An. All of this awaits you and can be planned with our Private Tours to Vietnam. Choose your style of how you’d like to Travel to Vietnam and let the rest to our expert Vietnam trip advisors. Places to visit in Halong bay Vietnam when you are here on Halong Bay Cruises. Never miss to visit this special place named as a MUST SEE. Private Holiday in Indochina, Tailor-made tour and excursion in Vietnam, Laos and Cambodia. We are giving options for the Vietnam tour operator, vacation package in Vietnam and Vietnam tours. Vietnam car rental with English speaking driver can be a hassle-free task with Trust Car Rental Company. This company offers hot deals throughout the year to attract maximum travellers for a safe and convenient journey to the many attractions in Vietnam. Business travellers will get a variety of cars to choose from depending on their budget. The drivers working with Trust car rental are friendly, knowledgeable of all routes and roads, and true professionals. Trust car rental also has Chinese speaking drivers for Chinese travellers. Cars can be rented to travel to Ho Chi Minh, from Ho Chi Minh to Ke Ga, from Sai Gon to Mui Ne, from Ho Chi Minh to Da Lat, from Ha Noi to Ha Long Bay, and to other popular places and industrial areas. Are you curious about Burma, when coming to Burma what to see in here? Let find out with us. Starting from Bagan – the ancient city in Burma, with more than 3000 temples. Bagan is only 42 km squared, the city used to be the palatial capital of Burma for 230 years. Maybe you don’t know, Mandalay is also a city of temples. It only takes you about 30 minutes to cycle from Bagan to Mandalay. If the temples in Bagan are ancient and plain, the temples in Mandalay are more delicate. In Mandalay, you can see the temples whose walls were incised beautiful pattern, or the gilded temples. Don’t forget to drop by the Royal Palace when you visit Mandalay.